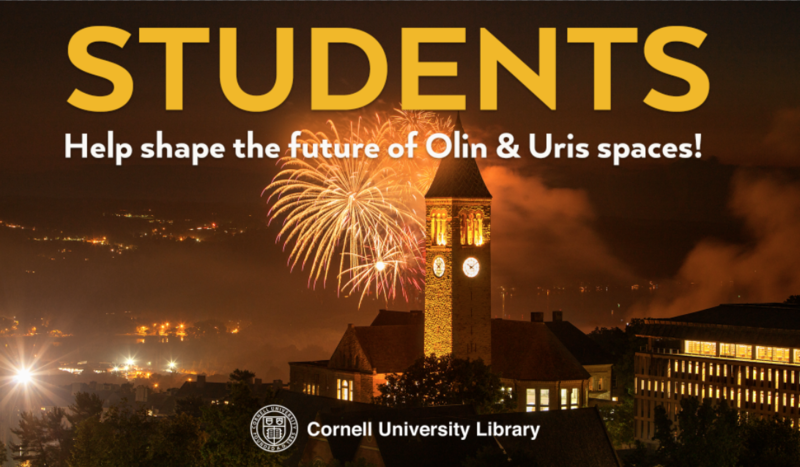 Students: Help us imagine the future of Olin and Uris Libraries! Olin and Uris Libraries are about to embark on a major re-visioning of our spaces that will enable us to best serve the needs of current and future Cornellians. We can’t do it, however, without significant input from the students who comprise a large portion of the 5,000 in-person visits through our doors every day to research, write, and even rest in our spaces. To this end, we have partnered with brightspot strategy, a design consultancy firm that will lead a workshop for students on March 26th to understand how you use the library today and how it can better meet your needs tomorrow. By participating, you can help to forge the direction of the transformation to come.